Topic: Sinners & saints : tales of old Laramie City. Beery, Gladys B. Glendo, Wyo. 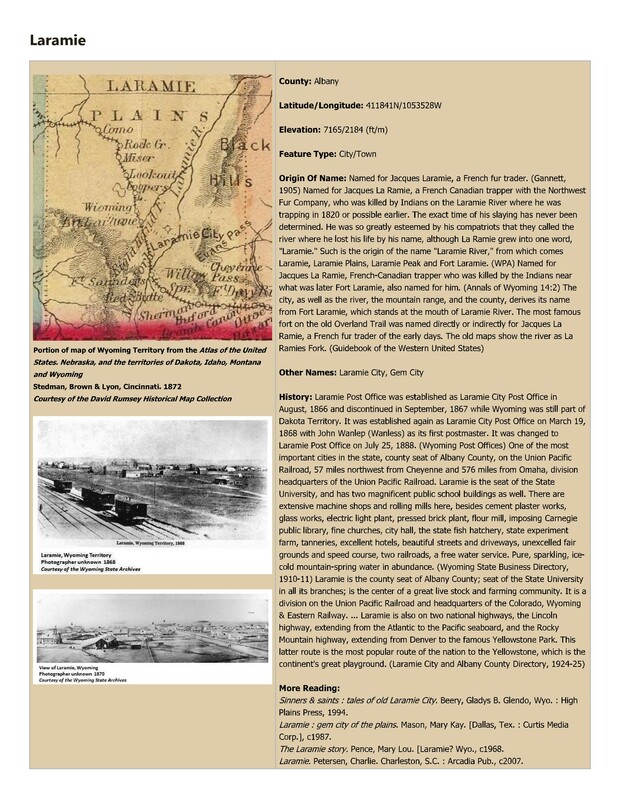 : High Plains Press, 1994.; Laramie : gem city of the plains. Mason, Mary Kay. [Dallas, Tex. : Curtis Media Corp.], c1987. ; The Laramie story. Pence, Mary Lou. [Laramie? Wyo., c1968. ; Laramie. Petersen, Charlie. Charleston, S.C. : Arcadia Pub., c2007.